I’ve been tagged by the lovely Krystal Jane (who’s awesome blog is here), in the Seven Deadly Sins blog hop. Here goes. Well, probably something I picked up for $1 from the White Elephant Stall at my daughter’s school fair. I don’t tend to bargain shop for books very often. I don’t mind paying proper $$$ as they become my ‘precious things’ and I’m not the type to spend big on shoes or clothes or jewellery or anything so I figure it’s ok to spend on books. Authors I love, I love straight up. 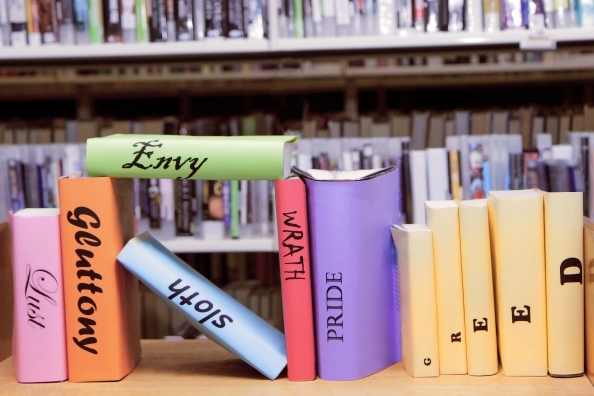 I don’t ‘hate’ authors – just don’t read them if they’re not my thing. 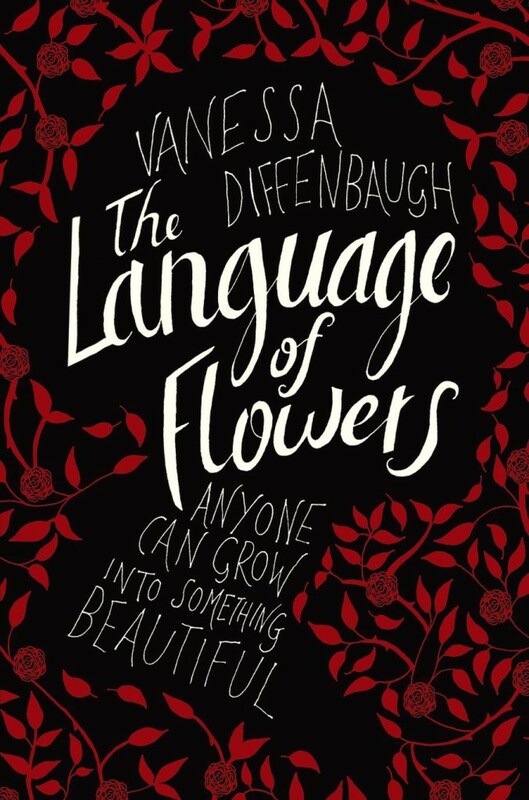 But, the one author whose story I loved, but who made me want to throw their book across the room and break something into a thousand tiny pieces was Vanessa Diffenbaugh (you can read about it here). I don’t tend to re-read books. In fact I can’t think of any that I’ve read more than once. I think that’s because I’m worried if it’s a book I love that much I want to read it again, that if I do it will somehow lose its magic and I’ll be disappointed. I’d rather remember it in my mind as the beautiful read it was and not risk finding out it wasn’t as good as I thought. Well, while there are massive piles of unread book spread throughout my house (pics here), they are mostly unread simply because I haven’t got round to them. 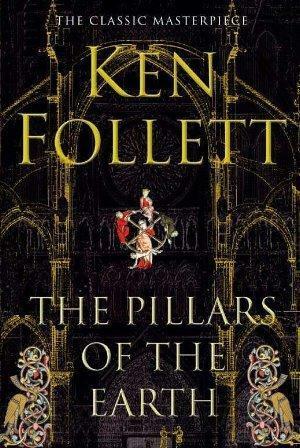 But, there is one book I’ve been wanting to read for a while and I keep not picking it up because of the size, and that’s Pillars of the Earth. 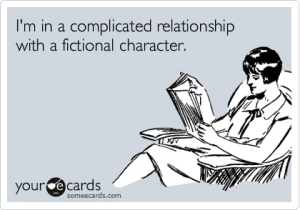 Hmmm… in a female I like a flawed character with intelligence and honesty. Someone like Victoria in The Language of Flowers. Characters like Bridget Jones just do my head in, so don’t give me anyone like her. As for males, my first literary crush (and it endures today) was Gilbert Blythe. I like the quiet loyal type. Alpha males don’t do it for me. Unless you count Jamie Fraser from Outlander who combines Alpha male with vulnerability and a kilt. Hmmm…Gilbert Blythe in a kilt, brandishing a broad sword…. What a fun blog hop and I can tag as many or as few people as I want. So you’re it Kate Foster, Hayley Stone, Emily More. 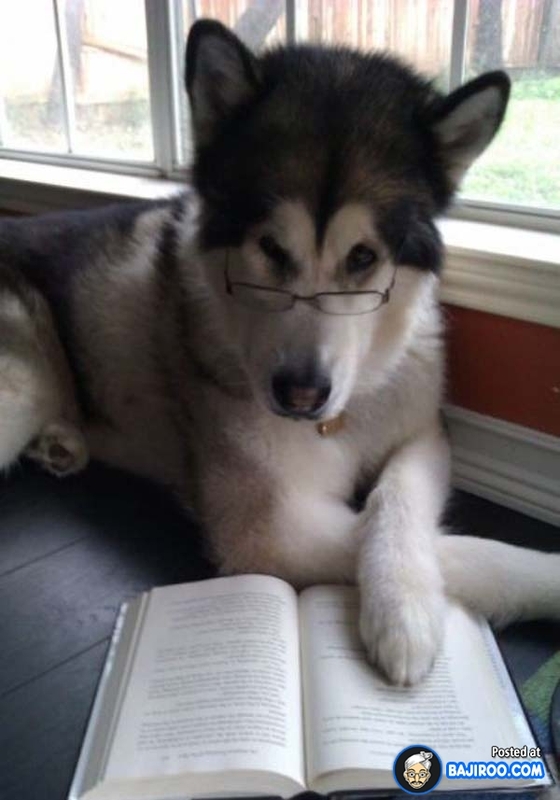 I’d love to know some of your book sins. Pick a sin from above and leave a comment below. This entry was posted in As a Reader and tagged book sins on November 12, 2014 by sandiedocker. You’ll have to read my blog to find out! This looks fun. Thanks for including me. Might take a day or two but I’ll let you know when its done! Gilbert Blythe, Heathcliffe, or Mr Darcy…a difficult choice – kilt or no kilt! Hi Kacy. Thanks for dropping by. Definitely too many books in the TBR pile to re-read anything. Can’t wait to see your answers when they’re up.